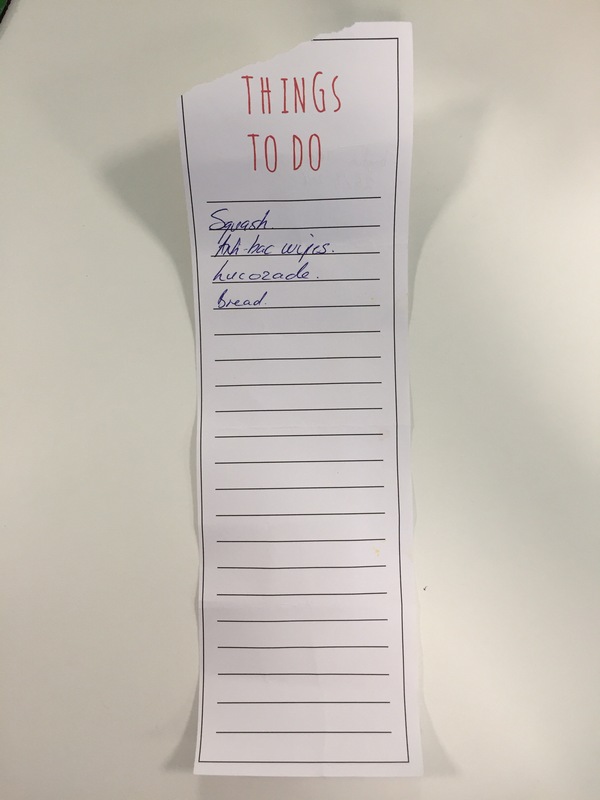 Nice list with the basics. 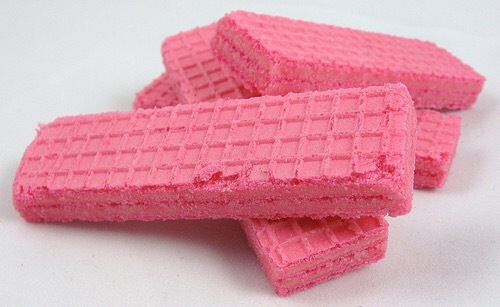 Some points of interest however, Dolly Bics? Is Dolly a dog do we think? These are underlined so important. Also, is the last line trainers? Maybe not as these would be a strange purchase at Morrisons. 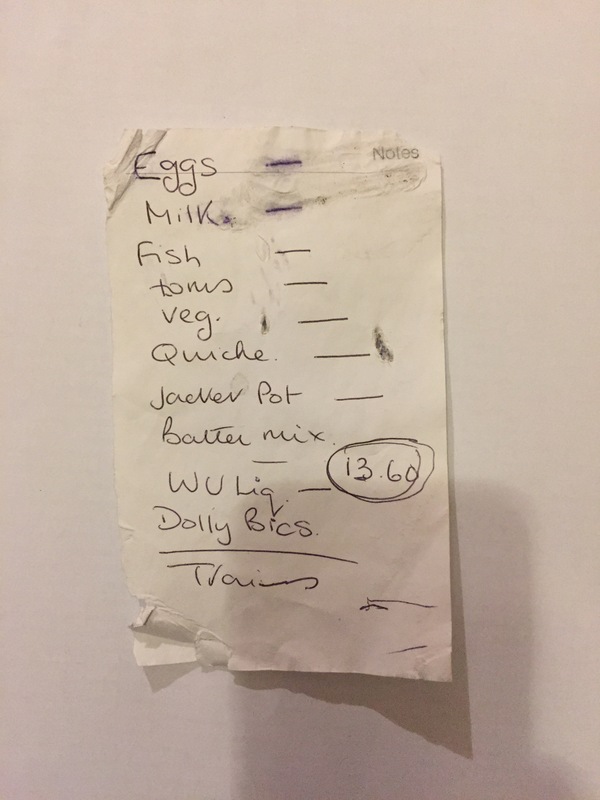 Eggs, milk, fish, toms, veg, quiche, jacket pot, batter mix, W U Liq, Dolly Bics, Trainers? 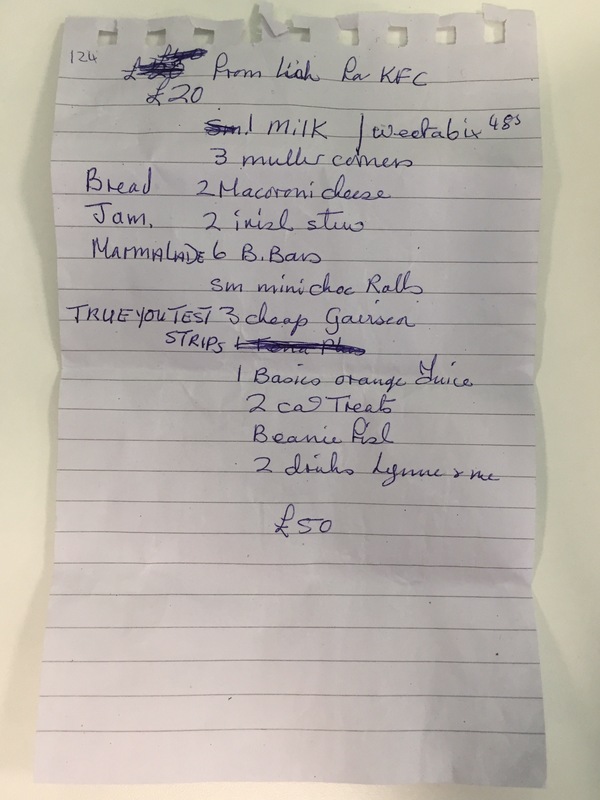 Bread, milk eggs, meat for stew, steaks, double cream, blue eggs (trendy tinted ones? 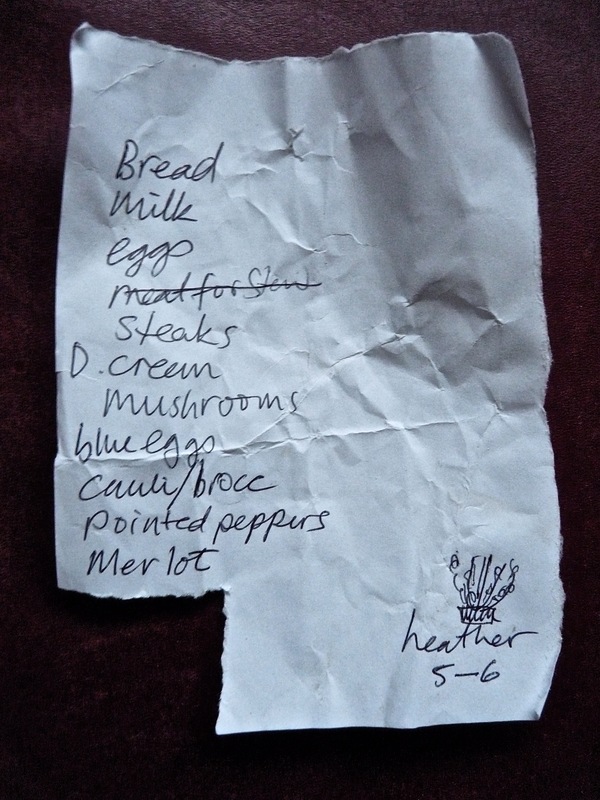 ), cauliflower and/or broccoli, pointed peppers, bottle of Merlot wine, 5-6 pots of heather (lovingly doodled). 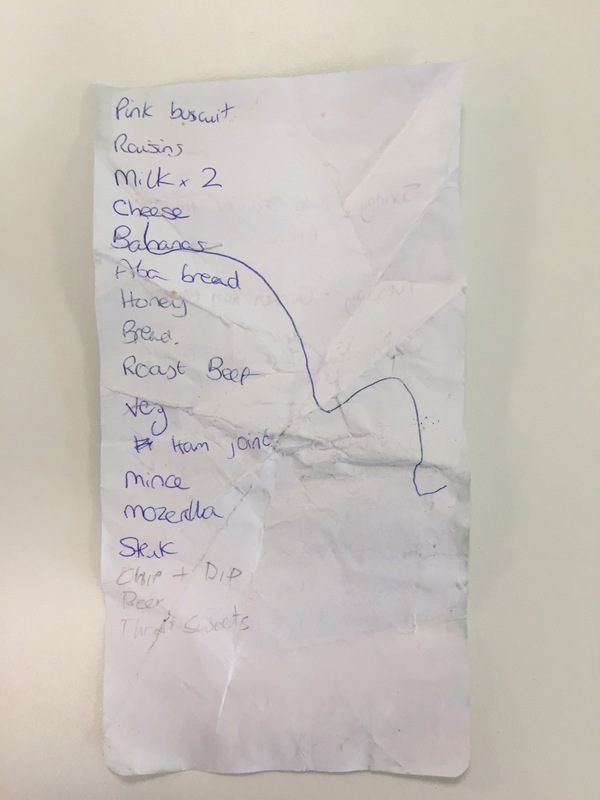 The site records scribbled, shopping lists, mostly those left behind in supermarket trolleys. 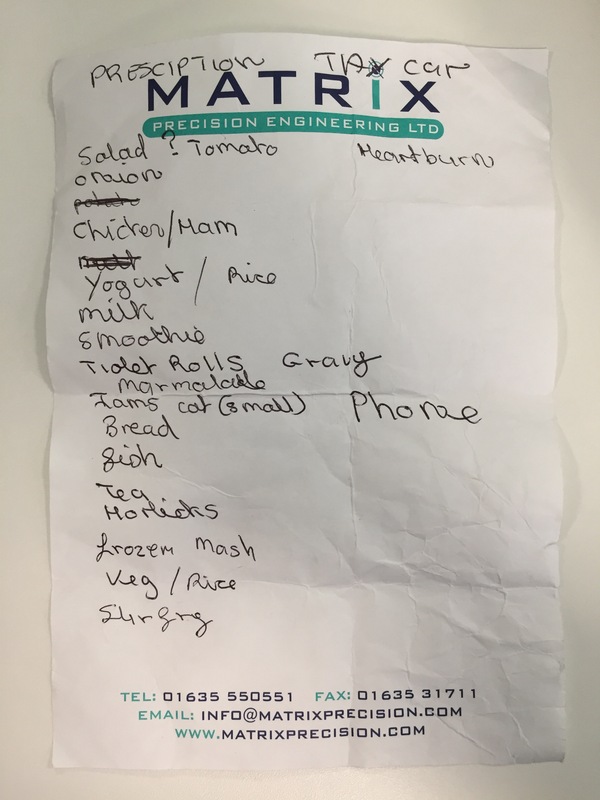 The Shopping Lists tries to piece together what these people are like via their eating habits and lifestyles. Comments are encouraged offering answers to clues about the shopper’s circumstance. What’s the meal and how many are they cooking for? What age, gender, time of year ? – Is it a party?